Carpeting is one of the major investment in commercial areas and also cost hundreds of dollars when it comes to cleaning or repairing. It is one of the huge investment that the facility manager tries and want to save, but only in case if they don’t need to rip it out and replace it. What can be done to give your carpet a longer, healthier life? In this case, commercial carpet cleaning can help you well. All Pro Carpet Care asked too often how to clean carpet that has visible soils and tough stains. All Pro Carpet Care is always ready to help you, by the time you see that your carpet is dirty, like in hallways and doorways, the dirt and grit have already damaged your carpet. Therefore, having deep cleaning is required at least twice a year in the duration of 6 months, for example, the visible dirt and the “hidden” dirt that can quickly erode your carpet. Getting rid of these offenders will enhance the look of your floor and more importantly, will make it more durable and prolong its life. It not only freshen up the appearance of the carpet but it also keeps the fiber from matting and crushing. This is the natural consequences of foot traffic, but a professional carpet cleaning will lift those fibers back where they’re supposed to be and get all that dirt and grime that’s been matted down with it. 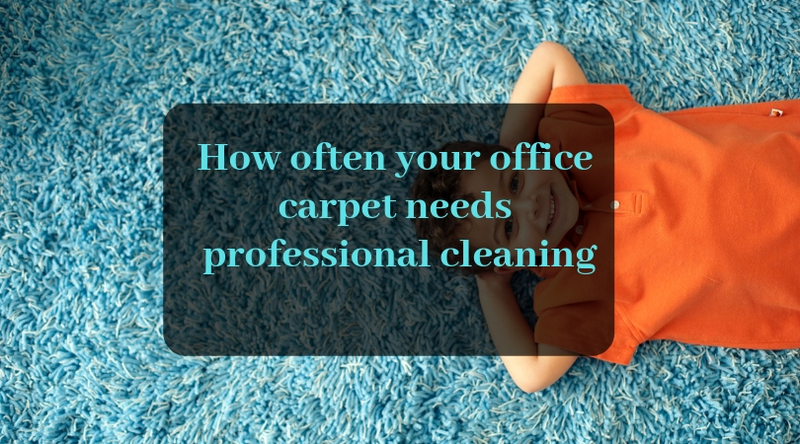 How often your carpet should be cleaned? Everything that finds its way onto your carpet is a contribution to dulling its look, giving it a stale odor, and eroding the strength of its fibers. If you have any of the following being tracked in and through your commercial facility, you may need to have it cleaned in a gap of 4-5 months. Residual oils from car exhaust, factories, and many more. What type of facilities are required more frequently for carpet cleaning? If you need a professional commercial carpet cleaning call All Pro Carpet Care in Bakersfield. We provide commercial carpet cleaning in Bakersfield and nearby areas. We are experts in commercial carpet cleaning, and also providing services for years in Bakersfield and nearby areas. Our cleaners are highly trained to the cleaning standards under the experts. To make your bookings call us at 661-747-4441 or fill up our online booking forms. You also can follow us on Facebook, Twitter, Instagram, and LinkedIn to get recent updates and offer related information. Are you planning to sell out your home before Christmas? There might be many questions running in your mind but the most obvious question would be, what should be done to increase the odds of selling your home quickly before Christmas? 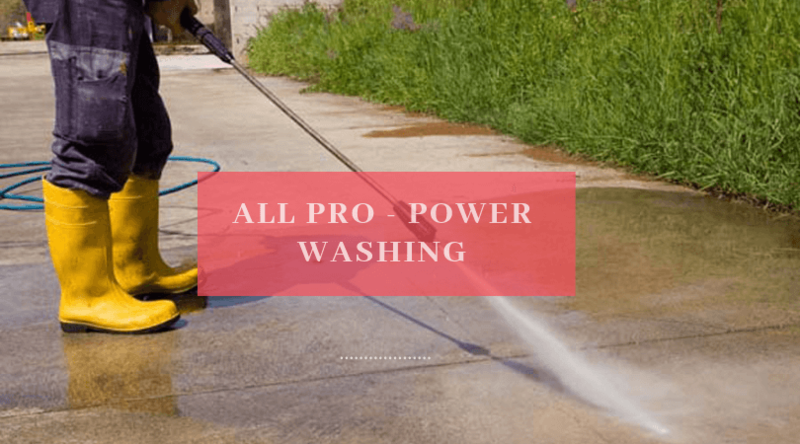 If you agree with us then you must read this article to gain the benefits of power washing Services before selling your home. A curb appeal is important when it comes to selling your home. If you are unaware of power washing you must know the Merits of Professional Power Washing. A power washing can clean each and everything after power washing your house will attract potential buyers. Nowadays house buyers are looking for properties that are not only convenient to shopping areas and have other nicely maintained homes in the neighborhood. But they are looking for a property, in which they just need to move in without any hassle. The person on the selling side should think according to the buyer side, what he expects when purchasing something from you. Thinking and planning according to their perspective will make sense and let you understand what steps would be great to get the desired amount of your house. As said before, an outdoor appeal is the first thing buyers looks as he reaches the location. Before going inside he will take a closer look outside. Here a power washer can play a vital role. The high stream of water strikes on the wall, which eliminates the dust and debris from the surface. This gives a fresh and clean look to outer walls of your home. Cleaning the siding is just one area that you can take advantage of. You can also use to power wash driveways, garages and many more. Over time, roofs can create black streaks that are the outcomes of algae that feed off your roof materials. It is not only bad for your roof, but it is ugly. Before you advertise your home in the property market, make sure your home roof is cleaned. Which will restore the shingles and let buyers know that you are concerned about your home that’s the main reason you have so well maintained the home. If you are looking for power washing in Bakersfield and nearby areas, All Pro Carpet Care is the ideal choice. We are serving power washing for a decade and we have a professional cleaner with the latest machines and equipment. We use the best carpet cleaning solutions which are safe for you, your family members, your pets and for the environment. We provide power washing in Bakersfield and nearby areas. Call us to make your booking. We also run Christmas power washing offers, call us right now to grab the opportunity. You can also fill up our online inquiry form and post that we will reach you soon. Cleaning the carpet often enough is surely one of the most annoying home cleaning chores. It takes time and a lot of effort. You are not alone in feeling bad about the fact that you invest so much in a job that you will soon enough (one or two weeks, at maximum) need to address again. 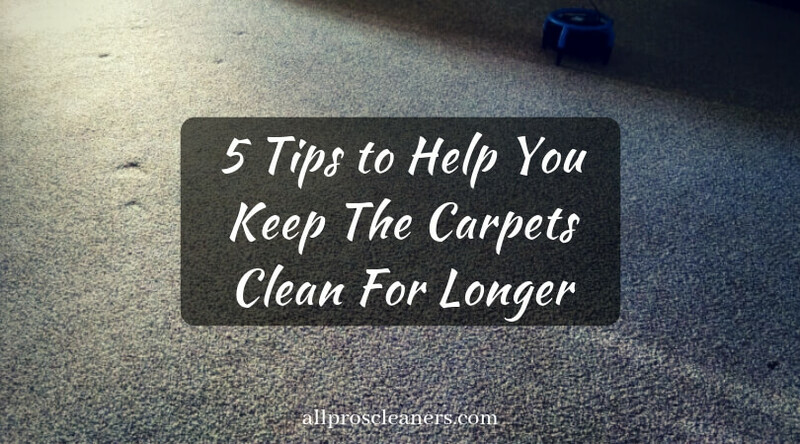 Let’s go through some tips to help you keep the carpets clean. Wouldn’t it be wonderful to somehow prolong the effect of carpet cleaning? You will feel amazing after learning that there are a few methods you can adopt in that sense. Carpet cleaning is not just a matter of vigorous vacuuming to keep the dust at bay. It is also a matter of prevention. Even though it can get quite annoying, vacuum cleaning is necessary in order to reduce the overall amount of dust that carpets accumulate. If you don’t do this, the pile will trap and retain dust and dirt particles for a long time, essentially ruining the look and feel of the carpet. Since you value your carpets and you don’t want to see them ruined, it is best to stay on top of your vacuum cleaning duties. Stains are the arch nemesis of every carpet and rug, regardless of their type of pile. Whether it is of food origin or some bodily fluid (blood for example) there are proper techniques and methods that work well. Most of them don’t even involve specialized carpet cleaning solutions that you can find in the store. Baking soda, vinegar, hydrogen peroxide, and dishwashing liquid can all be your best friends in the battle against stains. One of the main offenders when it comes to dirt and dust accumulation is human traffic. People constantly track in dirt and dust with their feet, so it makes sense to prevent this as much as possible. What you can do is place a good quality door welcome mat for people to wipe their feet off before coming into your home. Additionally, you should implement a no-shoes-inside policy. Have every visitor leave their shoes at the door, as it only makes sense. Every now and then your carpets will be in need of refreshing. The only sure way to do this is to contact a carpet cleaning company and have the experts do this task. They utilize special gear and methods that remove the deeply ingrained dirt from the pile. Speaking of hiring professionals, you can also add a special service – scotch guarding. This is a special technique, which includes a protective layer on the carpet. Its main purpose is to protect the carpet from stains and make it easier to clean. That is a preferable option as far as prolonging the life of your carpet is concerned. If you have loving family and pets then what else anyone needs. If you have a pet then you are well aware of it. We all love our cats and dogs, but we certainly don’t love the stains and odors which they leave when they have an accident right? But don’t worry there are some solutions to these problems which are mentioned below. So, here is a solution just look onto it. 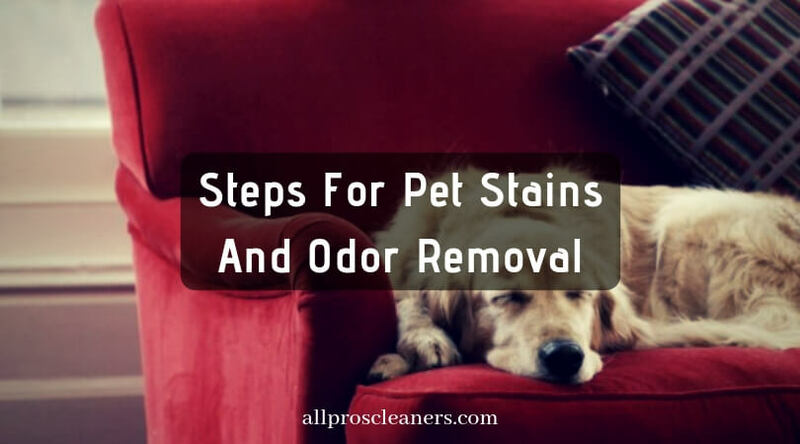 So, let’s see the steps for Pet stains and odor removal. Pet stains require immediate response to maintain your home environment and properties. So, here are the essential steps for the same. If you get pet stain accident then you need to absorb the mess as soon as possible to reduce its effects. For example, if your carpet gets urinated because of your pet then you can use paper or cotton cloth and press firmly into the stain which can absorb the urine as much as it can. Once you have soaked the stain you can apply cold water and leave it around a minute on the stain; which prevents your stain by spreading wider and can save your carpet. Applying enzyme will help you to remove pet stains as well as irritating pet odors. It will remove all the bacteria which creates an odor. Also, it will make your carpet as new as it was before. An enzyme is a non-toxic solution which is also beneficiary for your health. Once you have applied Enzyme solution on your carpet now again soak the solution using a fresh towel. Now hold down the towel with heavy weight and leave it for a while. Once you have followed above mentioned steps then you are surely able to remove pet stains and odors from your carpet. If you have applied above-mentioned steps and still you are not able to get the expected outcome then Call All Pro Carpet & Tile Care at 661-747-4441 and enjoy our services to get the satisfying result.